I use Twitter favourites almost exclusively to mark posts that I know will be useful in some not-too-distant future; kind of like a Twitter Evernote. Recently I was looking through my list in search of this excellent blog post detailing how to build cross-platform binary distributions for conda. I came across two other tweets from the EuroSciPy 2014 conference: this one by Ian Ozsvald about his IPython memory usage profiler, right next to this one by Alexandre Chabot about Aaron O’Leary’s notedown. I’d forgotten that this was how I came across these two tools, but since then I have contributed code to both (1, 2). I’d met Ian at EuroSciPy 2013, but I’ve never met Aaron, yet nevertheless there is my code in the latest version of his notedown library. How remarkable the open-source Python community has become. Talks from Python conferences are posted to YouTube, usually as the conference is happening. (Add to that plenty of live tweeting.) Thus, even when I can’t attend the conferences, I can keep up with the latest open source libraries, from the other side of the world. And then I can grab the source code on GitHub, fiddle with it to my heart’s content, and submit a pull request to the author with my changes. After a short while, code that I wrote for my own utility is available for anyone else to use through PyPI or conda. My point is: join us! Make your code open source, and conversely, when you need some functionality, don’t reinvent the wheel. See if there’s a library that almost meets your needs, and contribute! – Submissions must use NumPy, SciPy, or a closely related library in a non-trivial way. – Preferably, nominate someone else’s code that impressed you. – Include a scientific application on real data. – GitHub: create a new issue here. Some excellent submissions did not use the SciPy library, but rather did amazing things with the Python standard library. I should have mentioned that the book will be specifically focused on the NumPy and SciPy libraries. That’s just the scope of the book that O’Reilly has contracted us to write. Therefore, although we might try to fit examples of great Python uses into a chapter, they are not suitable to be the centerpieces. We will make some exceptions, for example for very closely related libraries such as pandas and scikit-learn. But, generally, the scope is SciPy the library. This one’s pretty obvious. We can’t use your submission if it’s under a restrictive license. And we don’t want to publish GPL-licensed code, which could force our readers to GPL-license their own code when using it. For more on this, see Choose A License, as well as Jake Vanderplas’s excellent blog post encouraging the use of the BSD license for scientific code. Note that the author of a piece of code is free to relicense as they choose, so if you think some GPL code is perfect and might be amenable to relicensing, do let us know about it! I suspect that a lot of people are shy about submitting their own code. Two things should alleviate this. First, you can now submit via email, so you don’t have to be public about the self-promotion. (Not that there’s anything wrong with that, but I know I sometimes struggle with it.) And second, I want to explicitly state that we prefer it if you submit others’ code. This is not to discourage self-promotion, but to drive code quality even higher. It’s a high bar to convince ourselves that our code is worthy of being called elegant, but it takes another level entirely to find someone else’s code elegant! (The usual reaction when reading other people’s code is more like, “and what the #$&^ is going on here??? ?“) So, try to think about times you saw great code during a code review, reading a blog post, or while grokking and fiddling with someone else’s library. Beautiful code is kind of a goal unto itself, but we really want to demonstrate how useful SciPy is in real scientific analysis. Therefore, although cute examples on synthetic data can illustrate quite well what a piece of code does, it would be extremely useful for us if you can point to examples with real scientific data behind them. Thank you, and we hope to hear from you! Call for code nominations for Elegant SciPy! Update: See the also the clarifications to this post, and submit code by creating an issue in our GitHub repo! It’s official! Harriet Dashnow, Stéfan van der Walt, and I will be writing an O’Reilly book about the SciPy library and the surrounding ecosystem. The book is called Elegant SciPy, and is intended to teach SciPy to fledgling Pythonistas, guided by the most elegant SciPy code examples we can find. So, if you recently came across scientific Python code that made you go “Wow!” with its elegance, simplicity, cleverness, or power, please point us to it! As an example, have a look at Vighnesh Birodkar’s code to build a region adjacency graph from an n-dimensional image, which I highlighted previously here. 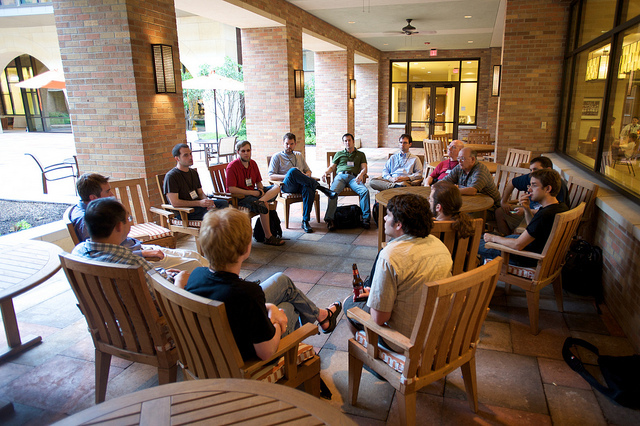 We’ll also consider other parts of the SciPy library and ecosystem. Reach out to any of us on Twitter: @hdashnow, @stefanvdwalt, @jnuneziglesias. Or just comment on the blog post, below. Update: Or, the preferred method, add an issue in our GitHub repository! It’s time to draw my “continuous integration in Python” series to a close. This final post ties all six previous posts together and is the preferred write-up to share more widely and on which to provide feedback. But it’s a lot of stuff to do for every little project. I was about to make myself some minimal setup.cfg and .travis.yml template files so that I could have these ready for all new projects, when I remembered PyScaffold, which sets up a Python project’s basic structure automatically (setup.py, package_name/__init__.py, etc.). Sure enough, PyScaffold has a --with-travis option that implements all my recommendations, including pytest, Travis, and Coveralls. If you set up your projects with PyScaffold, you’ll just have to turn on Travis-CI on your GitHub repo admin and Coveralls on coveralls.io, and you’ll be good to go. your environment is different (e.g. 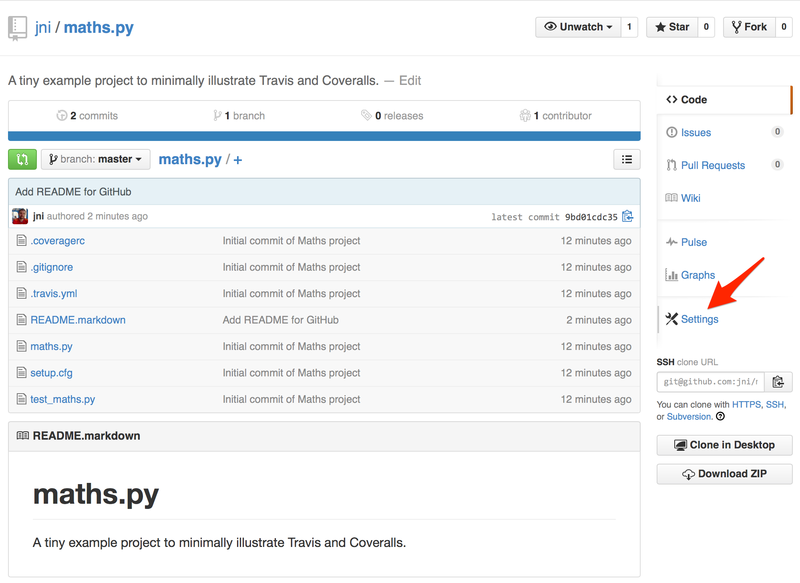 NumPy versions differ between your local build and Travis’s VMs). you’re testing a function that depends on random number generation and have failed to set the seed. you depend on some web resource that was temporarily unavailable when you pushed. Travis has updated its VMs in some incompatible way. you have more memory/CPUs locally than Travis allows. Of these, the first three are acceptable. You can use conda to match your environments both locally and on Travis, and you should always set the seed for randomised tests. For network errors, Travis provides a special function, travis_retry, that you can prefix your commands with. Travis VM updates should theoretically be benign and not cause any problems, but, in recent months, they have been a significant source of pain for the scikit-image team: every monthly update by Travis broke our builds. That’s disappointing, to say the least. For simple builds, you really shouldn’t run into this. But for major projects, this is an unnecessary source of instability. Further, Travis VMs don’t have unlimited memory and disk space for your builds (naturally), but the limits are not strictly defined (unnaturally). This means that builds requiring “some” memory or disk space randomly fail. Again, disappointing. Travis could, for example, guarantee some minimal specs that everyone could program against — and request additional space either as special exemptions or at a cost. Finally, there’s the weird failures. I don’t have any examples on hand but I’ll just note that sometimes Travis builds fail, where your local copy works fine every single time. Sometimes rebuilding fixes things, and other times you have to change some subtle but apparently inconsequential thing before the build is fixed. These would be mitigated if Travis allowed you to clone their VM images so you could run them on a local VM or on your own EC2 allocation. In all though, Travis is a fantastic resource, and you shouldn’t let my caveats stop you from using it. They are just something to keep in mind before you pull all your hair out. Testing helps you maintain the correctness of your code. However, as Michael Droettboom eloquently argued at SciPy 2014, all projects are prone to feature creep, which can progressively slow code down. Airspeed Velocity is to benchmarks what pytest is to unit tests, and allows you to monitor your project’s speed over time. Unfortunately, benchmarks are a different beast to tests, because you need to keep the testing computer’s specs and load constant for each benchmark run. 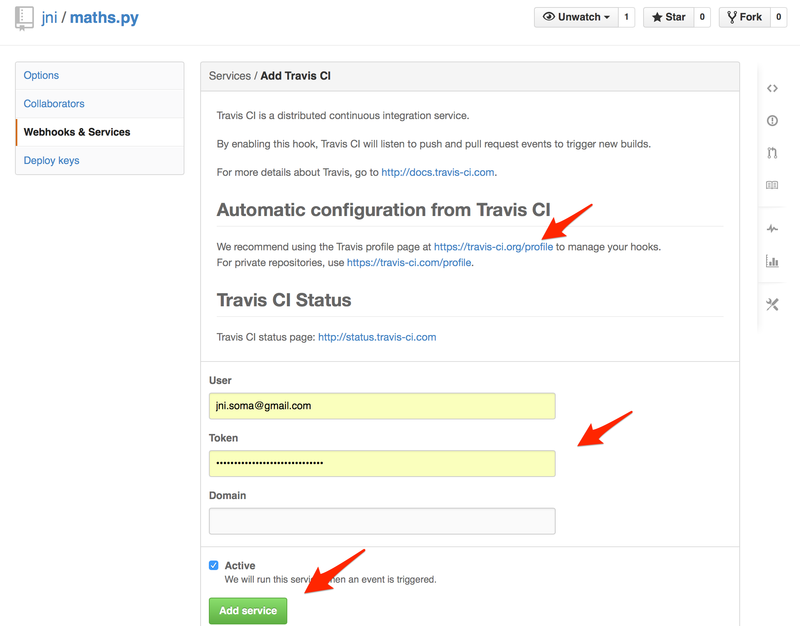 Therefore, a VM-based CI service such as Travis is out of the question. If your project has any performance component, it may well be worth investing in a dedicated machine only to run benchmarks. The machine could monitor your GitHub repo for changes and PRs, check them out when they come in, run the benchmarks, and report back. I have yet to do this for any of my projects, but will certainly consider this strongly in the future. The above tools all work great as part of GitHub’s pull request (PR) development model. It’s a model that is easy to grok, works well with new programmers, and has driven massive growth in the open-source community. Lately, I recommend it with a bit more trepidation than I used to, because it does have a few high-profile detractors, notably Linux and git creator Linus Torvalds, and OpenStack developer Julien Danjou. To paraphrase Julien, there are two core problems with GitHub’s chosen workflow, both of which are longstanding and neither of which shows any sign of improving. First, comments on code diffs are buried by subsequent changes, whether the changes are a rebase or they simply change the diff. This makes it very difficult for an outside reviewer to assess what discussion, if any, resulted in the final/latest design of a PR. This could be a fairly trivial fix (colour-code outdated diffs, rather than hiding them), so I would love to see some comments from GitHub as to what is taking so long. Expect to see a lot of these when using pull requests. Second, bisectability is broken by fixup commits. The GitHub development model is not only geared towards small, incremental commits being piled on to a history, but it actively encourages these with their per-commit badging of a user’s contribution calendar. Fixup commits make bug hunting with git bisect more difficult, because some commits will not be able to run a test suite at all. This could be alleviated by considering only commits merging GitHub PRs, whose commit message start with Merge pull request #, but I don’t know how to get git to do this automatically (ideas welcome in the comments). I disagree with Julien that there is “no value in the social hype [GitHub] brings.” In fact, GitHub has dramatically improved my coding skills, and no doubt countless others’. For many, it is their first experience with code review. Give credit where it is due: GitHub is driving the current, enormous wave of open-source development. But there is no doubt it needs improvement, and it’s sad to see GitHub’s developers apparently ignoring their critics. I hope the latter will be loud enough soon that GitHub will have no choice but to take notice. This series, including this post, sums up my current thinking on CI in Python. It’s surely incomplete: I recently came across a curious “Health: 88%” badge on Mitchell Stanton-Cook’s BanzaiDB README. Clicking it took me to the project’s landscape.io page, which appears to do for coding style what Travis does for builds/tests and Coveralls does for coverage. How it measures “style” is not yet clear to me, but it might be another good CI tool to keep track of. Nevertheless, since it’s taken me a few years to get to this stage in my software development practice, I hope this series will help other scientists get there faster. If any more experienced readers think any of my advice is rubbish, please speak up in the comments! I’ll update the post(s) accordingly. CI is a big rabbit hole and I’m still finding my way around. But, much as exercise is wasted if your bathroom scale doesn’t automatically tweet about it, all this effort is for naught if visitors to your GitHub page can’t see it! Most high-profile open-source projects these days advertise their CI efforts. Above, I cheekily called this showing off, but it’s truly important: anyone who lands on your GitHub page is a potential user or contributor, and if they see evidence that your codebase is stable and well-tested, they are more likely to stick around. Just copy and paste the appropriate code and add it to your README file wherever you please. Again, just grab whichever URL is appropriate for your needs (I prefer Markdown-formatted READMEs), and add it to your README, usually next to the Travis badge. Update: Volume 7: Some final thoughts, tips, and tools. Today I will show you how to continuously check your test coverage using Coveralls. That’s it! With just two small changes to your .travis.yml and the flick of a switch, you will get continuous monitoring of your test coverage with each push, and also with each pull request. By default, Coveralls will even comment on your pull requests, so that you instantly know whether someone is not testing their submitted code! Plus, you get a swanky web dashboard to monitor your coverage! This is what continuous integration is all about. Once upon a time, the common practice was to pile on new features on a codebase. Then, come release time, there would be a feature freeze, and some time would be spent cleaning up code and removing bugs. In continuous integration, instead, no new feature is allowed into the codebase until it is bug free, as demonstrated by the test suite. 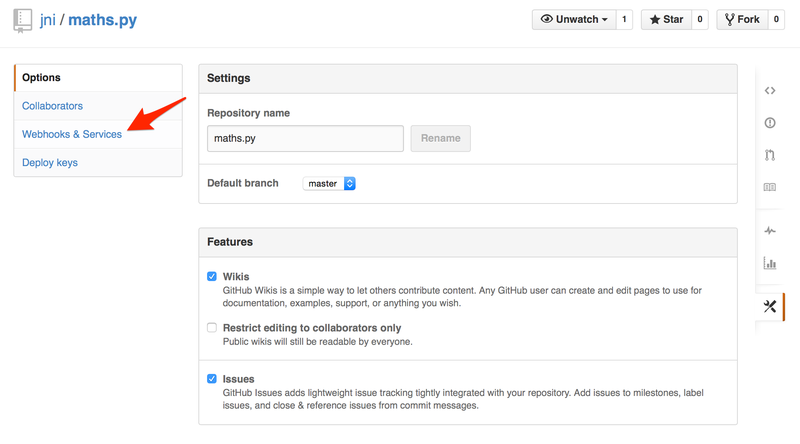 Go to your project settings page on GitHub. Click on webhooks & services. Click on add service, searching for “Travis”. You’ll be taken to the GitHub Travis configuration page. Mine was pre-populated with the Travis token, but you might have to click on the link to your Travis profile, and click on the “Profile” tab to retrieve your token. 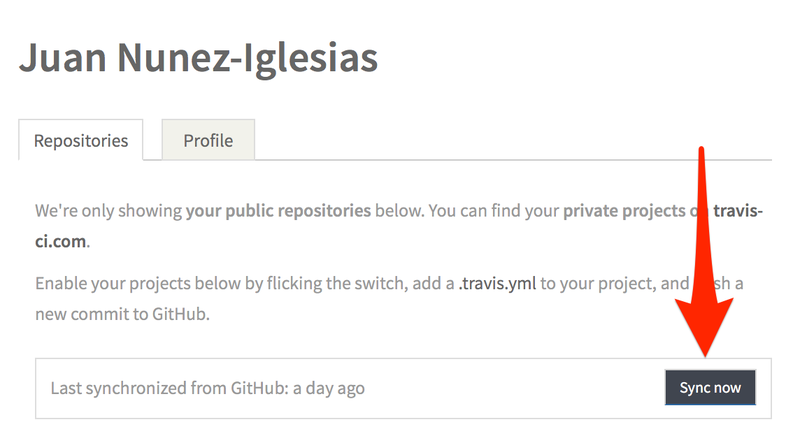 In the Travis profile page, in the “Repositories” tab, click Sync now to get your list of repos, and flick the switch for your current repo. Voilà! Every push and pull-request to your repository will trigger a job on Travis’s servers, building your dependencies and your software, running your tests, and emailing you if anything went wrong! Amazingly, this is completely free for open source projects, so you really have no excuse for not using it! Follow this blog to learn how to continuously check test coverage using Coveralls, coming in the next post!